If you are interested in any of my photos just click to contact me. Photography: The art or process of producing images on a sensitized surface (as a film by the action of radiant energy and especially light). I try to capture reality (frozen time). The reality I concentrate on the most is Nature (while we still have it). Almost all of the time I shoot in Manual mode, I find camera light meters can’t always get it right to my eyes. I also like knowing that I took the photo not the cameras computer chip. I post information on all my photos with Technical Details: ex. f/stop, iso, lens, shutter speed, etc… This was much harder in the film days. I had to write it all down but with digital it’s easy. I post the detail so that someone who likes my photos can learn, or at least have an idea on how it was done. Before my step into Digital Cameras, I used a Canon EOS Elan II and Elan IIe 35mm film cameras (I thought the Elan IIe eye control focus was garbage, it just didn’t like my eye). I had two cameras so I could have two different film speeds on demand. One was always iso 100 or lower the other was usually iso 800 or 400. 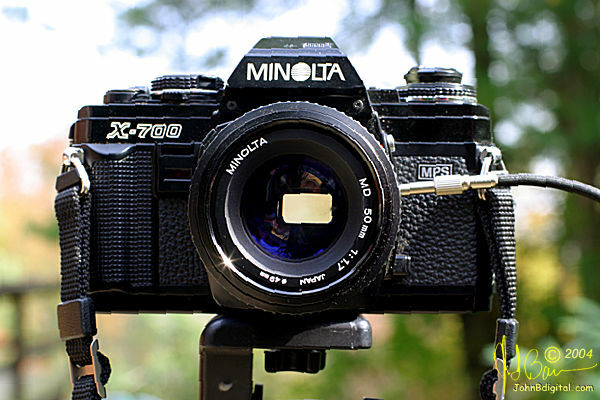 I also use to have two Minolta X-700’s 35mm film cameras. Before that I went through Point and Shoot trial, trying a number of 35mm Point & Shoot cameras. I even drove around the entire country taking snap shots with a Point and Shoot Kodak camera (wish I had a DSLR then). 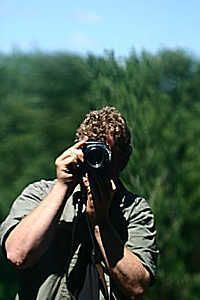 I have also had video cameras to video tape weddings for a living but it didn’t satisfy this photographer. Prior to video I use the Pentax line and had a Pentax ESII, back then it seemed so modern with its screw in lenses. Prior to that I had a number of different cameras, my very first camera (that comes to mind) was a Rolliflex Twin Lens Reflex. I remember how I thought it was wild how you had to look down into it. I now have a Sony A6500 & A6000 which I love the sensor quality. I gave my Canon 60D and my Canon 40D to my friends and I hardly use my Panasonic DMC-ZS40 for those times I didn’t want to lug the big camera because my Sony’s are so small. Back when I first got my 40D I did a high ISO wide open Aperture test between my 5D and 40D — click to see and was very happy with my 40D. For its price it was equal if not better (in some areas) then my 5D. All the photos I have posted here are taken by me, with a digital camera. This made sharing photos so much easier because it took the developing, scanning and corrections work out of it. So I don’t miss film any more! Shows the different magnification levels with different macro lenses, extension tubes, bellows and with 2x teleconverter. Shows basic info and examples of how to take infrared photos with a DSLR.